Lora Valentine McIntire, 86, of Apache Junction was born in Tucson, Arizona, March 21, 1929. She grew up near the University of Arizona campus where she and her family were highly involved in the community. She graduated from the U of A with honors in Home Economics education. She married Lynn Valentine and moved to the valley where she taught for a short time in Glendale and earned her master’s degree. She and Lynn had four children: Cole (Denise) of Springville, UT; Logan (Patty) of Spanish Fork, UT; Troy (Arlene) of Manti, UT; and Delight (Brian) Clark of Mesa, AZ. 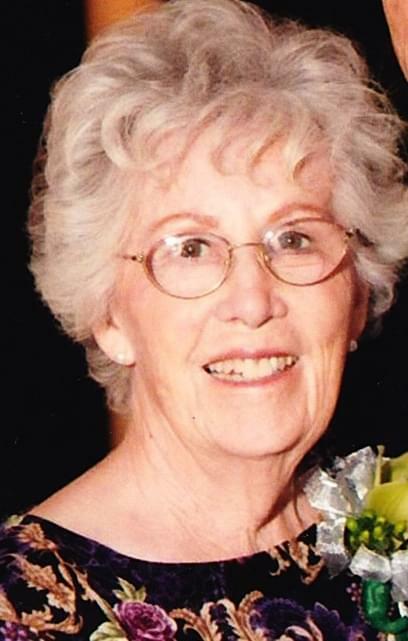 She taught Home Ec, Child Guidance, Creative Foods and Tailoring at Westwood and Mountain View High Schools as well as Poston Jr. High. Following her divorce, she became responsible for the care and support of her family for seven years until she married Bernell McIntire of Tempe. Together they blended three families of 18 children, the McIntires, the Mortensens and the Valentines who went by the moniker: the McMortines. Taking a sabbatical in 1981, the McIntires took 3 remaining children to Europe with them for a year. Upon her retirement from Mesa Public Schools and launching all 18 of their children, she and Bernell began traveling the world teaching English as a second language and serving missions for the LDS church. They spent three different years in China, a year each in Mexico, Mongolia and St. George, Utah as well as 18 months in Moldova and in Bulgaria. They would come home to nest and spend time with their growing family for a year or so between trips abroad. For the last several years, after the onset of Parkinson’s disease, Lora’s life slowed down and she and Bernell enjoyed life on the desert until her passing on September 12th, 2015. Lora’s thoughtful mothering was not limited to her own children, grandchildren or great-grandchildren. She had a nurturing spirit that included everyone around her. An exceptional homemaker, she was an active, dedicated member of The Church of Jesus Christ of Latter-day Saints. A viewing will be held Saturday, September 19th from 9-11 a.m. followed by the funeral services at 11:00 a.m. at the Apache Junction LDS stake center, 1720 S. Ironwood Rd., Apache Junction, AZ.